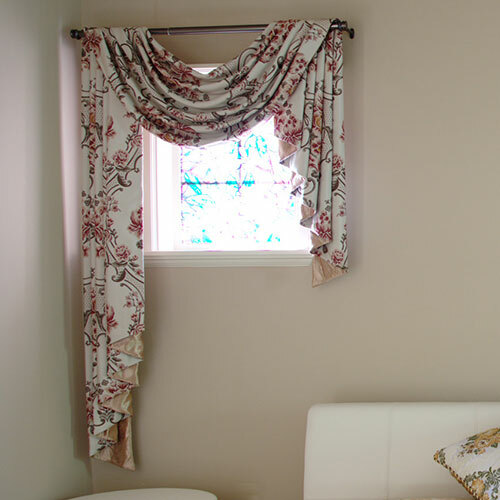 These sort of treatments are seen as more traditional types of window treatments that are mostly purely for decoration. Seen in many old villas and even country cottages, you can instantly transform any room in your home with these additions. 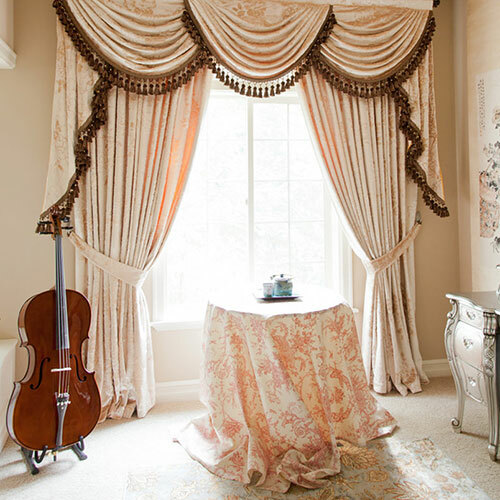 They are more an elaborate style of window dressing and can help ooze traditional luxury and class. 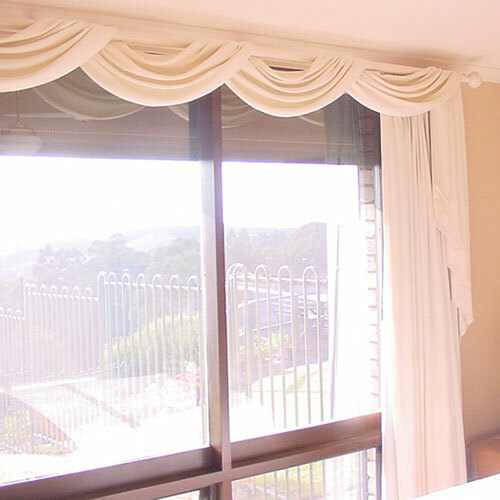 There are so many options available for pelmets all giving a different look. You can either have pelmets built in which a lot of 60's and 70's homes tend to have or you can have ones made to just sit on top of your windows. 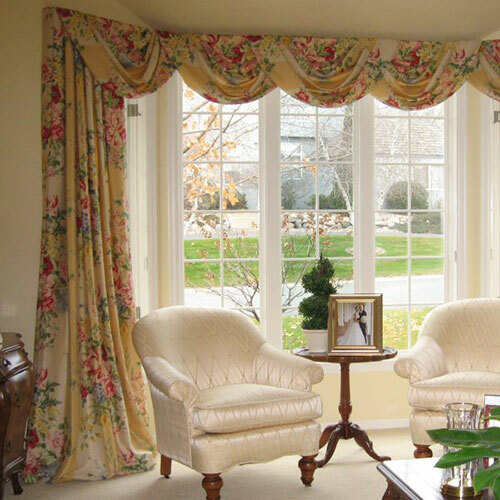 Pelmets and valances add an elegance and formal finish to your windows. 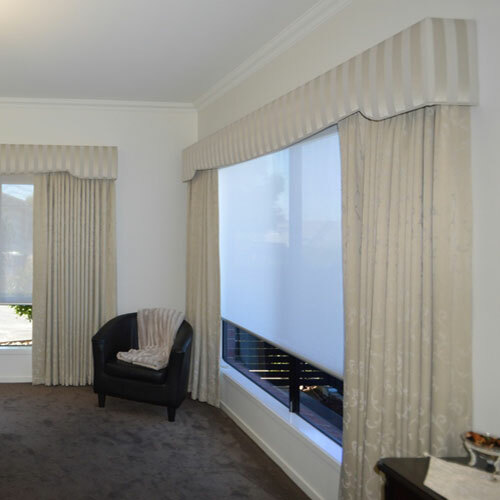 Pelmets hide curtain rods and brackets and keep the overhead sun from entering the room as well as helping keep heat in in winter. They provide a visual frame for the window, too. 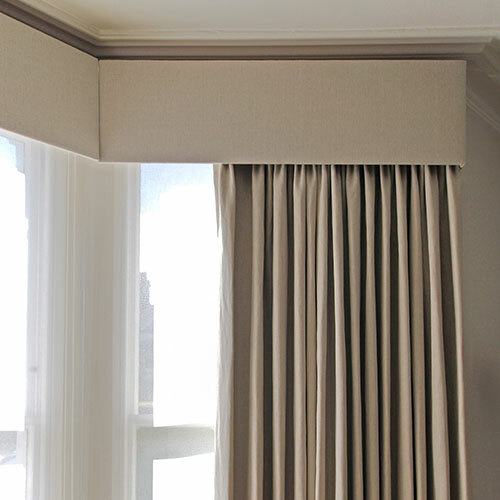 You can have pelmets made with any fabric you choose and they can also be trimmed with all sorts of different fringing, beading or trimmings. Take a look at some of the images below to see the different types of things that can be done or contact us today to discuss your ideas with us further. 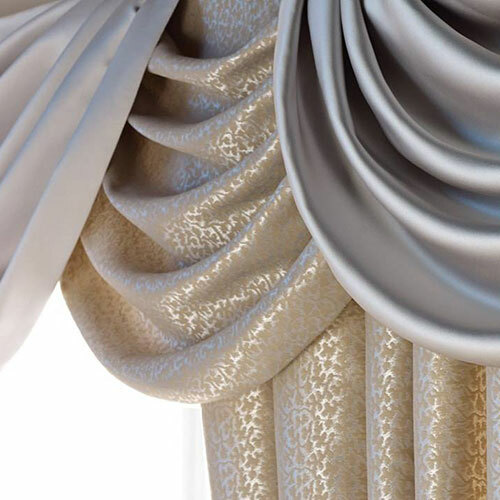 With swags and tails you can have all sorts of different styles and you can also combine both pelmets and swags and tails together on the same window for a very elaborate look. 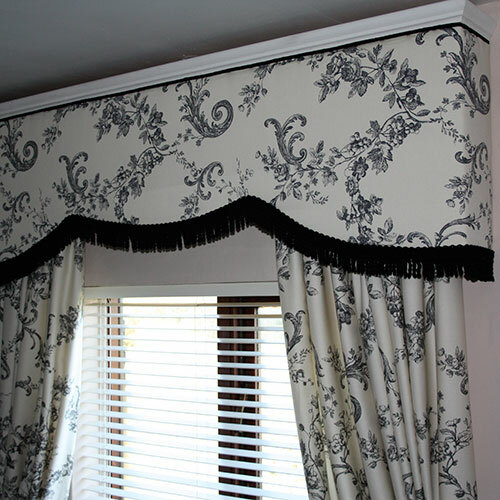 Swags and tails are an ideal way of adding glamour and sophistication as they provide a classic look which will never date, in the right room. 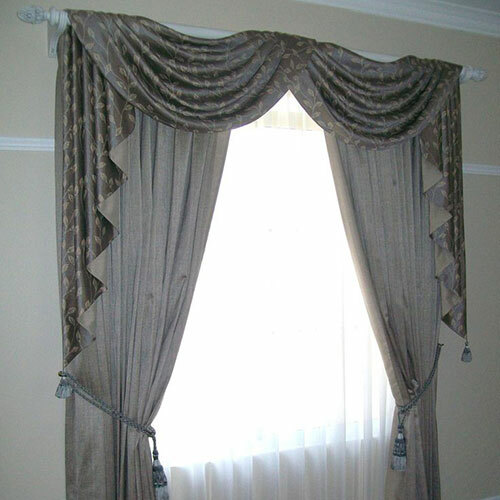 Swags and tails are usually associated with a Victorian style of decor and suit rooms with high ceilings as well as being a wonderful compliment to windows with full length drapes. You can use contrasting fabric to your drapes or you can even have contrasting fabric on the reverse of the tails so some peeps though at the ends. Or you can use the same fabric throughout. Maybe you want a more informal look; you can also have a very casual swag that just casually loops around a pole above the window. There are so many different options available you really are only limited by your imagination. Contact us today and see what ideas we can offer you.